WPP's PR and public affairs firms remain the best-performing of the group's business units for the year-to-date, but still reported their first quarterly decline of 2017. LONDON — WPP's PR and public affairs firms, which include H+K Strategies, Burson-Marsteller and Cohn & Wolfe, reported a like-for-like revenue decline of 1% to £288m during Q3 of 2017, as the marketing services giant continued to experience its worst year since the global financial crisis. The results saw WPP cut its full-year revenue forecast again, amid a broader client spending slowdown that has affected all of its holding group rivals. WPP said like-for-like revenue growth is expected to be "broadly flat" in 2017, down from a slight growth forecast in the previous quarter. All of WPP's business units declined during the quarter, on a like-for-like basis compared to Q3 2016. The company's largest unit, advertising and media investment, declined 2.6% on a like-for-like basis in Q2 to £1.7bn. Data investment management was down 2.9% while branding, healthcare and specialist communications was down 0.7%. For the year-to-date, PR and PA remain the strongest performers, up 1.3% to £872m, after a gradual slowdown since a high of 4.4% growth in in Q1. 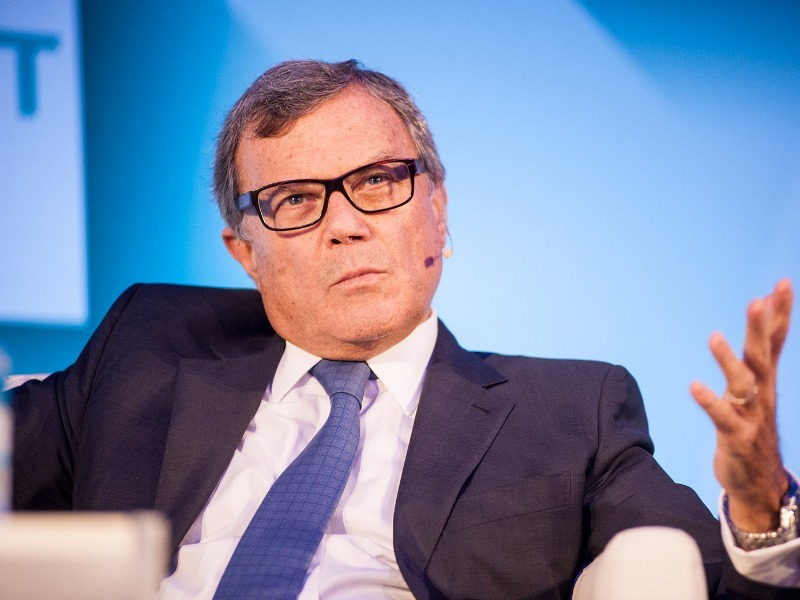 WPP CEO Sir Martin Sorrell said that PR and PA revenues "were up strongly compared with Q2" in Western Continental Europe, Asia Pacific and the Middle East, "with North America, the United Kingdom and Latin America weaker." Once again, Cohn & Wolfe was singled out for specific praise, marking the firm's fourth consecutive year of double-digit growth. "In the first nine months, there was particularly strong growth globally at Cohn & Wolfe, in social media content development in the United States at SJR, Glover Park and Ogilvy PR in the US, Buchanan in the UK and Hering Schuppener in Germany." "Cohn & Wolfe and parts of the specialist public relations and public affairs businesses in the US and Germany performed particularly well," added Sorrell. "Reportable net sales margins fell slightly, down 0.1 margin points, although Ogilvy Public Relations, Cohn & Wolfe, and the specialist public relations companies, Glover Park and Ogilvy Government Relations, showed improved margins in the first half." "It’s really thrilling to see how Cohn & Wolfe continues to outperform the traditional public relations industry even in challenging years like this one," said Cohn & Wolfe CEO Donna Imperator. "With a keen focus on transforming our business over the years, we now offer the creative content, digital prowess, data and immersive brand experiences that gain marketing attention and dollars." After record years of growth from 2011 to 2016, Sorrell admitted that 2017 has been "a different kettle of fish", despite his contention that "general economic conditions have not changed dramatically" compared to recent years. Accordingly, Sorrell suggests three reasons for the slowdown. The first — that digital platforms like Google and Facebook have dampened agency demand, he discounts, noting that their focus on the 'long tail' of SME businesses does not pose a major threat to his firms. Sorrell finds more evidence to support his second suggestion, that the rise of management consultancies is materially affecting marketing services firms. "Where the consultancies may have made some inroads is their focus not so much on the digital area, but more importantly on client concerns about cost," he explains. "Very few CEOs will resist the suggestion that they may be overspending and the promise of an audit or review that will only cost a proportion of any cost savings generated or a contingency fee. So, it may well be, that consultant activity is having some impact, not so much in the digital area, but more because of an emphasis on cost containment." The third possible threat, then, refers to Sorrell's own persistent warnings about client budget cuts in response to activist investors, particularly in the CPG sector. "There is little or no doubt that this third factor has had a significant, almost Pavlovian impact on variable cost reduction and encouraging a short-term focus, particularly in the fast moving consumer goods sector, which accounts for about 30% of our revenue, but it has also had a further impact on other sectors, such as autos and pharmaceuticals." "In summary, it does seem that in the new normal of a low growth, low inflation, limited pricing power world, there is an increasing focus on cost reduction, exacerbated by a management consultant emphasis on cost reduction and the close to zero cost of capital funding of activist investors and zero-based budgeters," continued Sorrell. "Although interest rates seem set to rise, they are unlikely to reach pre-Lehman levels, so these conditions will probably continue, maybe at less stressful and lower levels after one-time reductions this year, which are increasingly difficult to repeat. You cannot cost-cut your way to success." In response, Sorrell said that the group has "an increased focus and urgency in implementing our four-pronged strategy of horizontality, fast-growth markets, digital and data." In particular, Sorrell pointed to pressure on consumer goods ad spending, after Unilever — one of WPP's biggest clients — announced 30% decrease in its advertising earlier this year. This is not the first time that Sorrell has suggested clients are more focused on cost-cutting that brand building, thanks to the pressures of tech disruption, zero-based budgeting and activist investors. WPP's results come after Interpublic and Omnicom's PR firms each reported their second consecutive quarterly decline, confirming that the sector as a whole is facing its worst year since 2009.